Logs Direct is a Gold Supporter of the wildlife group, which helps to protect and conserve a healthy population of red squirrels in South Lakeland. It began to raise money for red squirrel protection in 2015 and continues to raise awareness of the need for red squirrel conservation work at all the exhibitions that it attends. Logs Direct has this year created special magnet cards which explain its ethos of providing high quality products while improving the lives and landscape of the people and places that it does business with. They also explain how every voluntary donation over £2 is matched by Logs Direct, and how the donor receives a free red squirrel soft toy with their order. This means of generating donations from customer-giving is a highly effective one for groups like Westmorland Red Squirrels. Its volunteers and supporters have done much to help the iconic native breed of squirrel reclaim its old territories, but there is still much work to do. The financial input of businesses like Logs Direct is of huge assistance to the ongoing protection and conservation work. 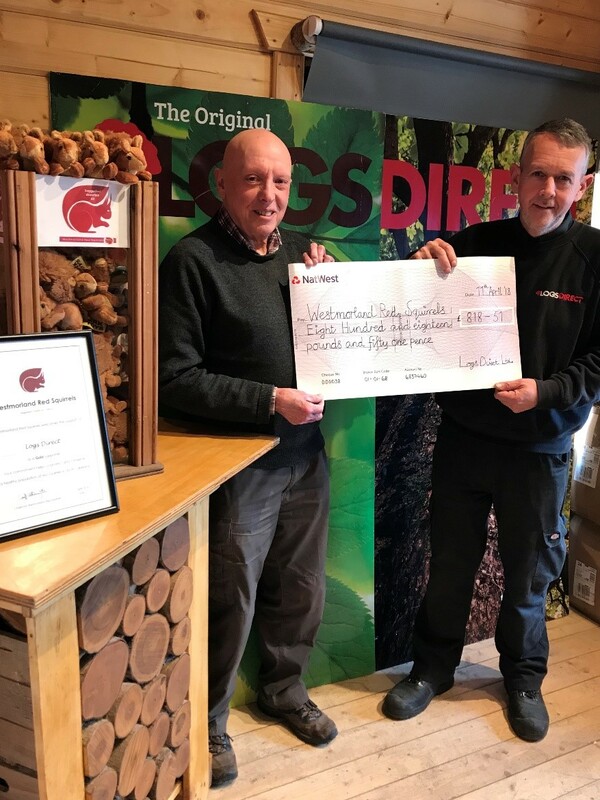 Westmorland Red Squirrels Secretary, Bob Cartwright, says: “The money raised by Logs Direct will enable us to continue in our efforts to assist the iconic red squirrel, whose habitats and health have been threatened by the non-native grey squirrel for many years.